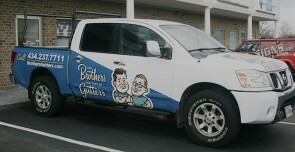 Your Source for Premium Signs, Graphics, Wraps & More! Here at SML Signs, we specialize in quality vehicle graphics, full & partial vehicle wraps, general purpose signs, display & outdoor banners & other custom signs. With over fifteen years of combined experience, we have the expertise to take your business to a whole new level of advertising. © 2015 SML Signs & More. All Rights Reserved.